Asiatravel.com said on Friday that it had applied to SGX for a two-month extension to release its second-quarter financial results, saying it faced “minor cash flow issues” and a lack of qualified accounting staff. In a separate filing on Friday, Asiatravel.com said that it and its subsidiary AT Reservation Network last week filed applications with Singapore’s High Court to seek a moratorium on legal proceedings by its creditors, with the intention of proposing a scheme of arrangement to organize liabilities and enable creditors to achieve better recovery of their debts than in a liquidation. The cash-flow issues were due in part to a breach of obligations by ZhongHong Holdings, which had entered into a convertible note agreement with Asiatravel.com for a principal amount of S$10 million, but has only so far paid S$2.65 million, in contravention of the agreement, it said in the first filing to SGX after the market close on Friday. “The company is of the view that this is a temporary circumstance and will be eased shortly as it has since commenced legal proceedings against, amongst others, ZhongHong, for the payment of the balance amount and damages,” it said. Shenton Wire was unable to contact ZhongHong Holdings. In addition, Asiatravel.com said it has faced “multiple resignations,” hampering its ability to file the second-quarter results. equity fund raising,” it said. Asiatravel.com said it was facing an influx of booking cancellations and credit disputes, which it attributed to ongoing legal proceedings, with Ang currently responsible for verifying all bookings and refunds. “Owing to the unwarranted negative publicity, it has been hard for the company to hire new accounts and finance staff. Nonetheless, the company is currently looking to rehire its past accounts and finance staff on a part-time basis,” it said. It said that if the second-quarter results were filed by the original deadline of 14 August, before the conclusion of its claim against ZhongHong, it would affect the statements and have “potentially serious adverse consequences” for the business, particularly for corporate actions under consideration. Asiatravel.com didn’t elaborate on those potential actions. The company also noted that its audited financial statements, which were finalized on 3 July, had material variances with the unaudited ones and that it would need more time to organize the statements. Asiatravel.com noted that it has recently restructured its business, including scaling down its business-to-consumer business by sizing down some of its online B2C destinations and shutting down or suspending activities of unprofitable business units such as the transportation and ground-handling units as well as operations in China. It said it was focusing on profitable units, including the online business-to-business destinations. It said it has decreased losses and increased its gross profit margin, with its first quarter gross profit margin rising to 9.7 percent from 5.2 percent in the year-earlier period. 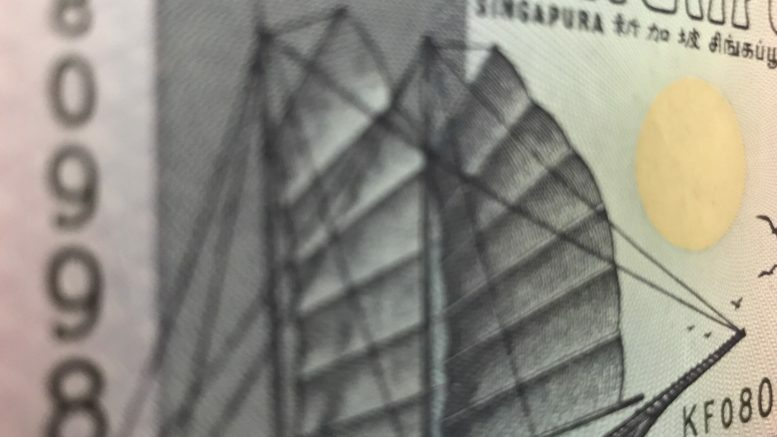 In a separate filing to SGX, Asiatravel.com said that it and its subsidiary AT Reservation Network last week filed applications with Singapore’s High Court to seek a moratorium on legal proceedings by its creditors, with the intention of proposing a scheme of arrangement to organize liabilities. It said it had engaged Baker Tilly TFW to advise it on the intended scheme of arrangement and act as the scheme manager in due course. A moratorium on enforcement actions and legal proceedings is automatic for 30 days upon filing the application, or until the court decides the application, whichever is earlier, Asiatravel.com’s filing said. The pretrial conferences for the application have been set for 14 August, it said. Asiatravel.com said it had received statutory demands from several creditors. Those included a statutory demand from solicitors for American Express International, dated 5 July, for S$296,353, with the demand stating that if Asiatravel.com didn’t pay within 21 days, AMEX could filing a winding-up application, it said, adding it had requested an extension but hadn’t yet heard any updates. Subsidiary AT Reservation also received a statutory demands from solicitors for Furama City Centre Singapore, or FCC, and Furama Riverfront Singapore, or FR, it said. In addition, AT Reservation received a letter of demand dated 19 July from the solicitors of Singapore Resort & Spa, or SRS, it said. AT Reservation was also served with a writ of summons and statement of claim by Lufthansa Airplus Servicekarten, it said. Shares of Asiatravel.com were suspended in July as the company wasn’t able to demonstrate that it can continue as a going concern in line with Catalist rules amid uncertainly over its cashflows, the company said in a July filing to SGX. This article was originally published on Sunday, 12 August 2018 at 18:28 SGT; it has since been updated.